today i had lunch with one of my newest favorite kids, billy. he’s pretty much the best, and his dad makes kewl tee shirts and things. yeah, billy’s a stud. 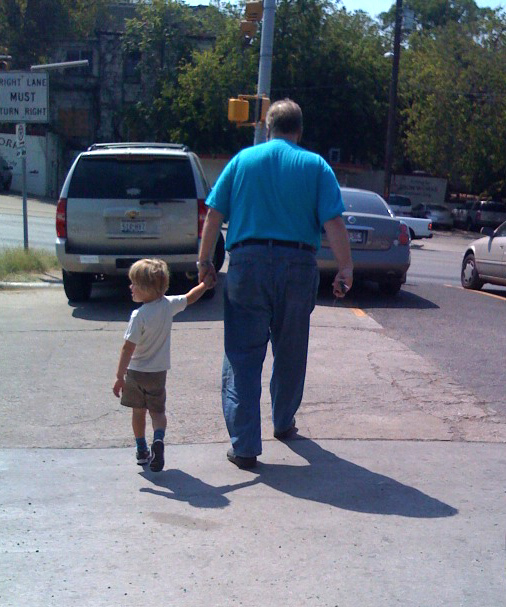 here’s a picture of him, walking with carl. the gates are narrow, my friend. I’m confused by the picture…which one’s which? billy is the little kid. the man is carl, my boss. but i will always have pictures like this one. haha, good times! thanks for the comment, will!